If you’ve read my latest posts you know I’ve been crazy busy the past weeks, and it will be so for at least this week too. This week we have 20% off on everything in the store, so we have loads to do. Today is my only day off this week, and I was lucky enough to get to spend it with my very close friend that is moving to Greece next week. Monday was the day of an important football game at our home arena, and last night the whole family went to an instruction evening to get to practice driving at home. That being said, there are plenty of reasons why I’m a day late with this weeks Bloggers Do It Better post. The topic this time was Bargains, and for me this was an easy one. The past few weeks I’ve been saving a lot of money. All because of my smoothie mixer. I used to spend loads on buying smoothies at my favorite place at the shopping center, but the mixer here has already saved up for itself (well, I didn’t pay for it myself but if I would have, the money would be saved by now). Not to mention all the variety I get now! 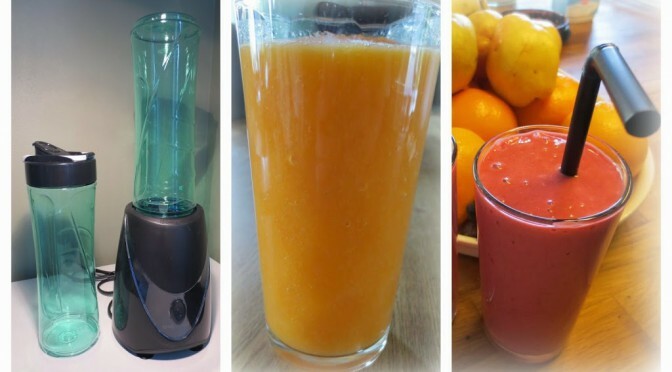 I used to be stuck with my favorite mango smoothie, but now I’ve been experimenting with lots of different tastes. Also, it’s perfect for making soups for lunch, making me save even more money! For soup I love using broccoli and cauliflower, just adding some salt and pepper. Maybe some herbs for an extra touch. Was told to use some lime or lemon, so I might try that next time. For breakfast as a fresh start of the day I love a carrot smoothie with some orange and ginger. Since I often work long days I try to bring a second smoothie to work. That one is usually a bit fruitier. A favorite is banana, raspberries and vanilla yogurt. If I work closing shift I like to ad an egg to stay full a bit longer. Hope you got some inspiration from this post. If so, feel free to follow me on Bloglovin and Twitter. Hopefully I’ll be able to go back to my normal Blogging routine soon. Miss you all! Love that broccoli and cauliflower soup idea! Definitely going to try that out! i agree with you eating at home or making your own lunch could really save you a bunch!!! and yeah i love adding ginger on my juice too! 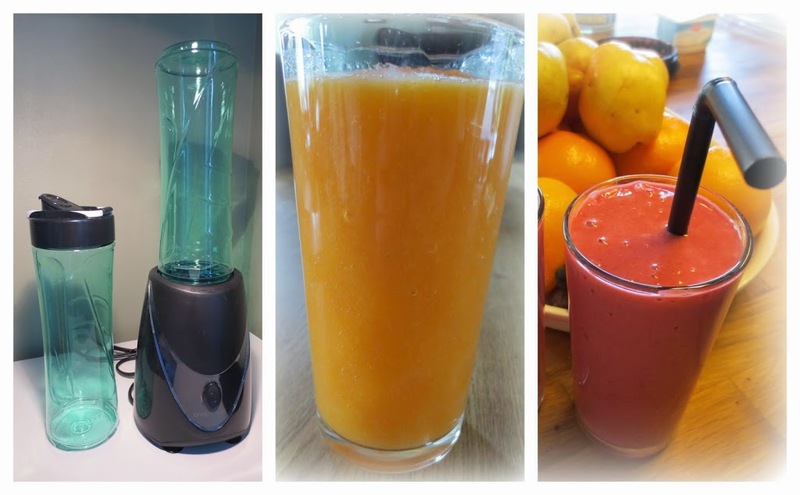 I’ve just got into make smoothies too, such a great way to have your 5 fruit & veg a day. Does any of your smoothies have bits in it? Like when you use raspberries or other berries? If so, how do you remove them? I love my smoothie maker! It’s so convenient. It was a great deal too! I know you’re busy, but I love when you do posts! Try to do more. lol. I totally need some smoothie recipes – the ones I have tried without peanut butter are never quite so nice – and I would love to have more smoothies! I can’t believe I never thought of using my blender to make soups as well! Gah, now I have to go so some more experimenting xD Mango smoothies are my absolutely tippity-top favourites too, although it is lovely to experiment as well! I love this post Anna! Your friend is so lucky, I would love to move to greece! Thanks for the tip on using the blender for making soup, I’d never thought of that.